What Type of Conservatory Would Best Suit My Home? What Type of Conservatory Would Best Suit My Home? What conservatory should I choose for my home? This is probably one of the first questions that people ask themselves when first thinking about adding a conservatory. The idea of having a conservatory in your house was popularized in the 19th century, with the advent of new skills and products in glass and heating, along with a British love of nurturing rare and tender plants. With modern construction, clever design, and customizable details, conservatory architecture has now come a long way since its inception. Our handy buyers guide will give you a good idea of the most popular conservatories and how much they cost, which should help you in your search for the ideal conservatory extension. What are the differences between a conservatory and an extension? 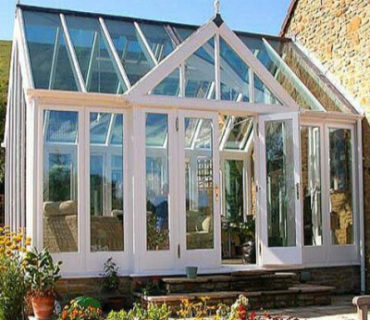 A well-used definition of a conservatory is that it is a building that has at least 50% of its side walls glazed, with at least 75% of its roof made from a translucent material (such as glass or poly-carbonate sheeting). 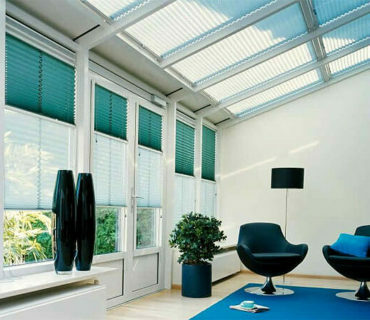 An extension has no restrictions or guidelines of this nature and can have as much, or as little, glazing as you like. Extensions will always be subject to needing planning permission before you can build, but conservatories (within certain limits) are classed as permitted developments and can therefore very often be installed without needing planning permission. A recreation room, gardening area, pet-safe zone, yoga studio, dedicated hobby room, or simply a living space where you can kick back and relax. What are the most popular conservatory designs? Often referred to as Mediterranean conservatories, these extensions rely on simple design, and make a great addition for small homes. Conservatories for bungalows that have limited space are a great idea. Featuring a basic rectangular layout, with a long side affixed to your property, Lean to conservatories maximize the amount of natural light entering the room. Despite the name, these conservatories can serve as the perfect bespoke extension to your contemporary house plan. Usually featuring a wide bay facade, an intricate ridge, and a steep roof, a Victorian conservatory can be constructed in two primary styles: first one consisting of three feature windows with an angled facade; second one consisting of 5 (or more) large windows with a more rounded design.While these are considered to be the most sought after conservatories, they tend to be a little heavier on the pocket. Another popular choice for owners looking to expand their living space. Edwardian conservatories are a more “space-effective” version of the Victorian conservatory. Featuring flat front, square walls with 90 degree angles and a high roof, these conservatories are simple to plan, easy to build, and versatile for any home, except the unusually shaped ones. Quite similar to the interior of an Edwardian conservatory, Gable fronted conservatories are based on square or rectangular shaped floor plans. Designed to efficiently utilise the indoor space, the roof setup looks like the gable end of a house, hence the name. This adds to the height of the room, where you can make the most of natural sunlight.It is important to note that Gable fronted conservatories have a distinct church like style, so they’re best suited for properties that can match their lofty appeal. Half way between an extension and conservatory, Orangeries traditionally include brickwork, and have a more substantial structure, however, modern-day construction techniques ensure that they are mostly modular and made of glass. Usually built as single storey glazed extensions, these are perfect for a broad range of properties. 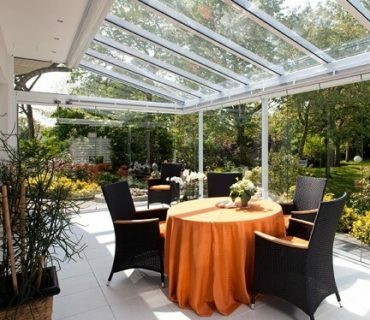 With a benefit of flexible dimensions, larger space, and a certain old world richness, Lantern conservatories often feature a glass ‘lantern’ structure added to a solid roof structure. This two tiered style is perfect if you’re looking for a grand and luxurious addition to your home. Do you want a large conservatory or a small conservatory? Small conservatories, or budget conservatories are always in demand, but not all the styles in the market are suited for families that are looking for a small cheap conservatory. The market for cheap conservatories is undoubtedly dominated by the lean-to design, typically using UPVC frames. A lean to conservatory is very minimalist in appearance, not complicated to construct and can be suited to any type of property from period homes to ultra-modern properties. Victorian conservatories come a close second for popularity where a small conservatory is needed. Although, if you are thinking of something smaller than a 3×3 conservatory size (metres), then it may get a bit cramped inside once you add furniture. Due to the “circular” floor plan, it can be tricky to place your furniture and leave space to move around freely. If you are more in the mid-size range, then a Victorian conservatory will do the job admirably. However, if you like a less ornate style, then Edwardian, Georgian, Gable or Pavilion 4×4 conservatories would be a great choice as they are all rectangular or cubic and make great use of internal space with loads of headroom. For large conservatories, the choice really opens up. Not only do all of the previously mentioned styles work well as a large conservatory, you could look to take advantage of the conservatory / orangery hybrid that is known as the Loggia. The Loggia conservatory uses a lot of glass in the side walls in conjunction with pillars or columns in the same way as an orangery and typically features a vaulted hipped roof. However, I would not class this as a “budget conservatory”. You could also look at “shaped conservatories”, such as the P-shape, T-shape, L-shape, B-shape extensions. Typically, these will be a combination of 2 styles in one. For example, a P-shape conservatory can be a Victorian conservatory with a lean to section extended from the side. Timber: A classic Hardwood Oak conservatory is superb, but will come with the highest price range of the 3. If you really want a timber conservatory, but don’t have the budget for Hardwood, then you can consider using engineered timber as an alternative. You get all the properties of a long lasting wooden conservatory, but at a lower cost. If you want to know how much a new conservatory for you home will cost. Simply send a few details about your project using our quotes form and we will arrange a free written quotes for you from our Nationwide panel of GGF, FENSA accredited installer.